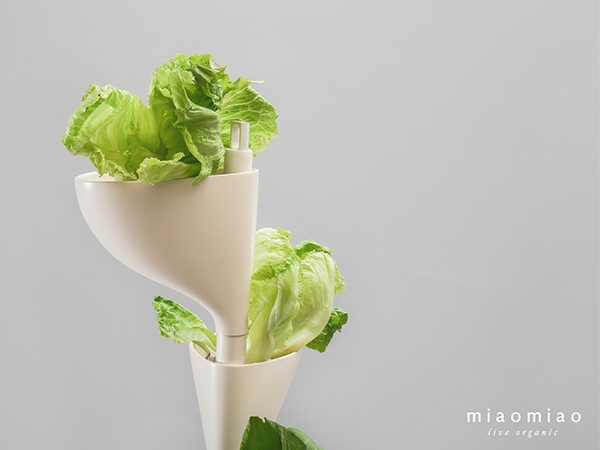 Miaomiao is a product design project of vertical hydroponic device which aims to enable the urban residents to grow healthful vegetables for themselves, their friends and neighbourhood. 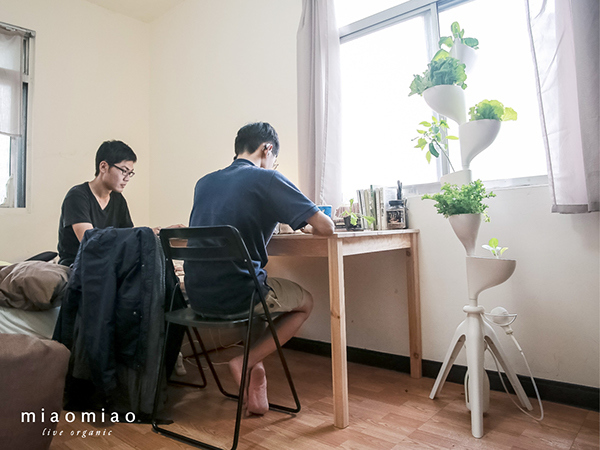 As the issues of food distribution has been a growing concern of Sharing Economy, Miaomiao aims to enable the community members to establish a reciprocal sharing network by exchanging the vegetables. 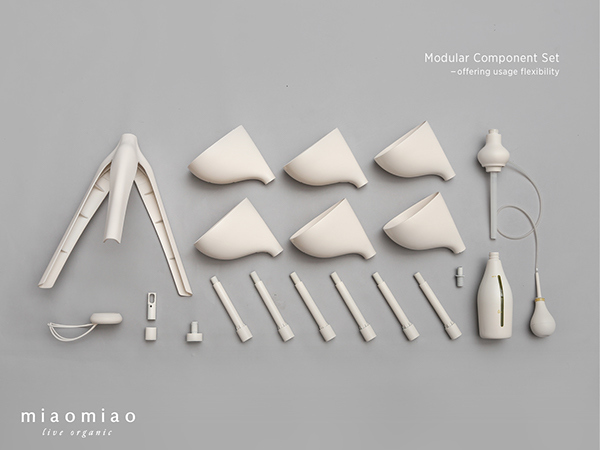 It is my graduation project for the bachelor degree in design at National Taiwan University of Science and Technology. 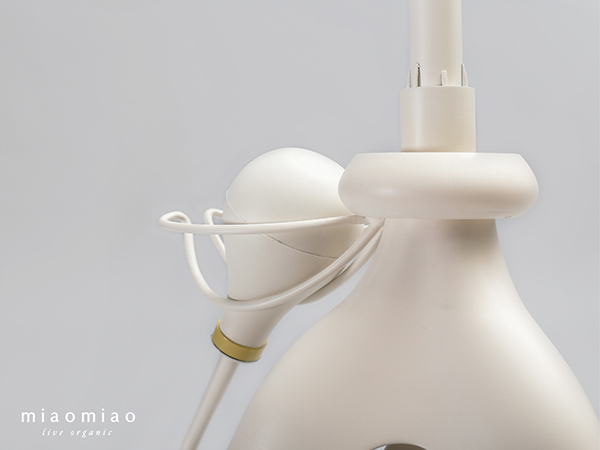 Jun-You Liu and I worked together to execute this project. 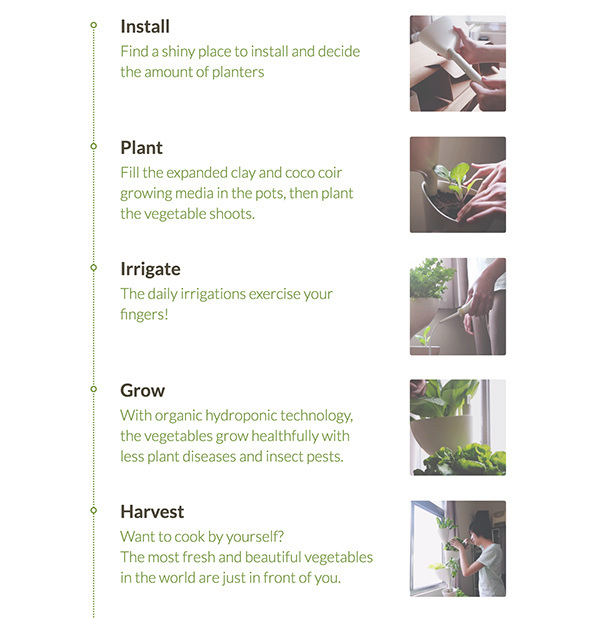 The food security is usually threatened by the ‬overuse of chemical insecticide‭ all over the world. 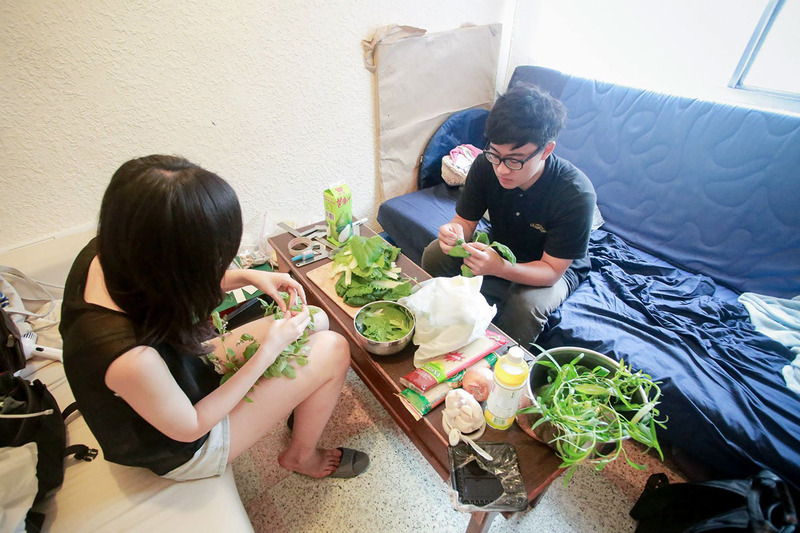 In Taiwan, it is even more severe because the agriculture is comparably more labour intensive. 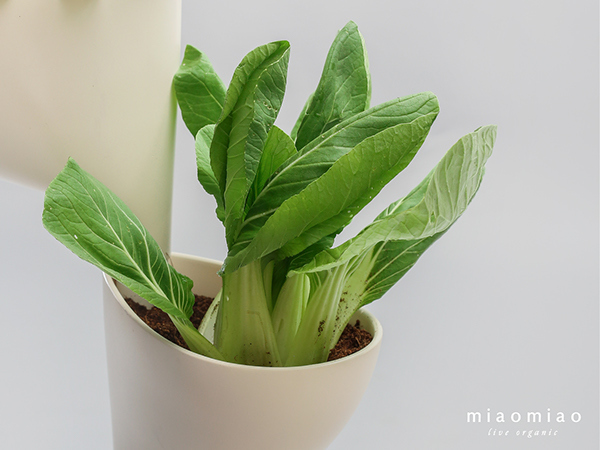 In 2014, the average farm size in Taiwan is around 2.5 acres, whereas the counterpart in the US is 441. 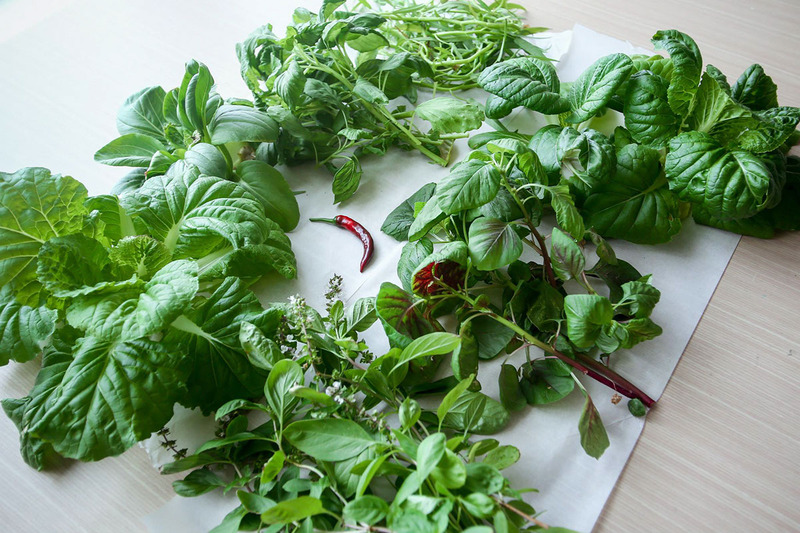 Most of the farmers have a comparably lower investment ability and expectation of harvest. 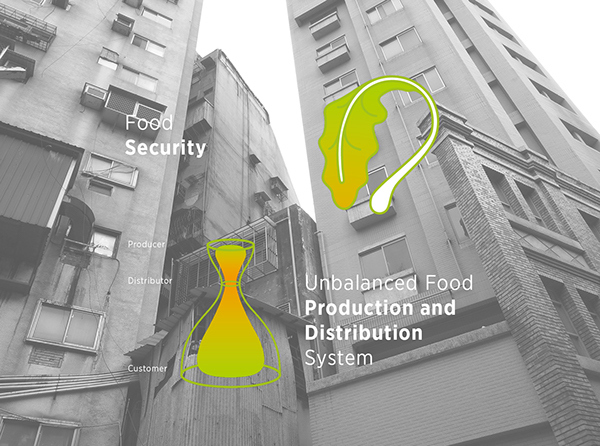 Furthermore, the fragmentation of farms and the lack of integration also affect the organization and efficiency of farm. 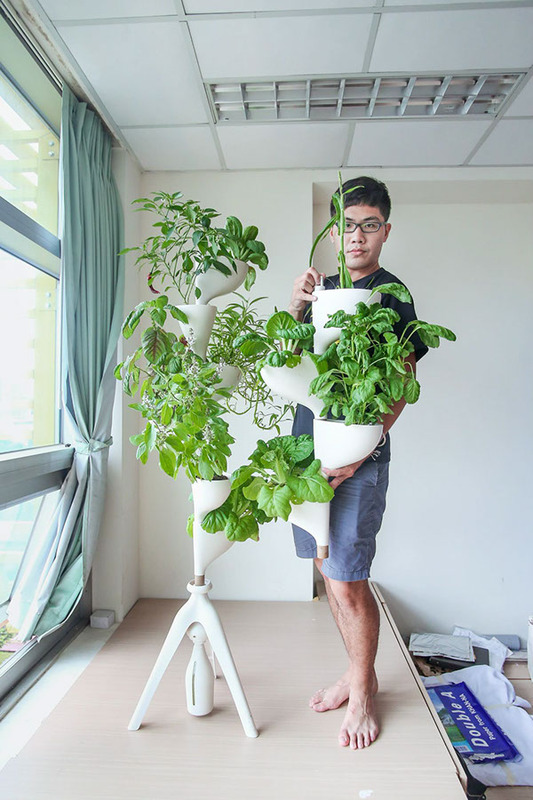 As a result, the farmers primarily rely on such as breeding, fertilisers and chemical insecticide more than on high-efficient in large scale but costly agricultural machinery. 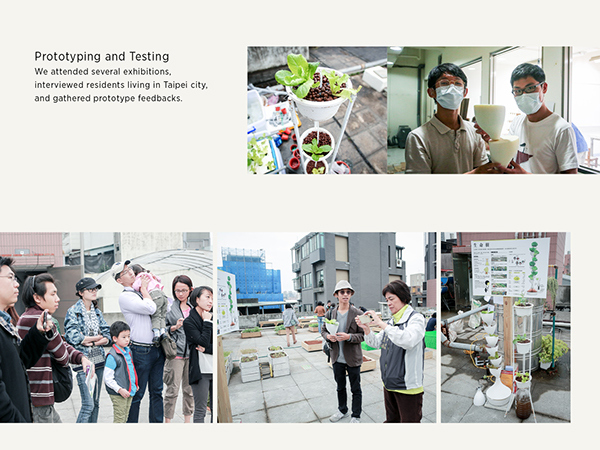 We presented our prototypes on several exhibitions which were organised by local associations for promoting civic agriculture to communities. 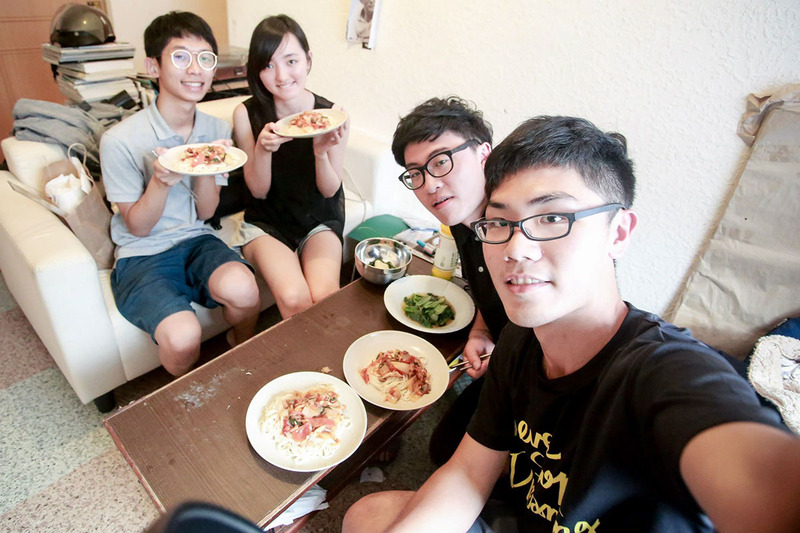 We also interviewed dozens of residents and community leaders living in Taipei. 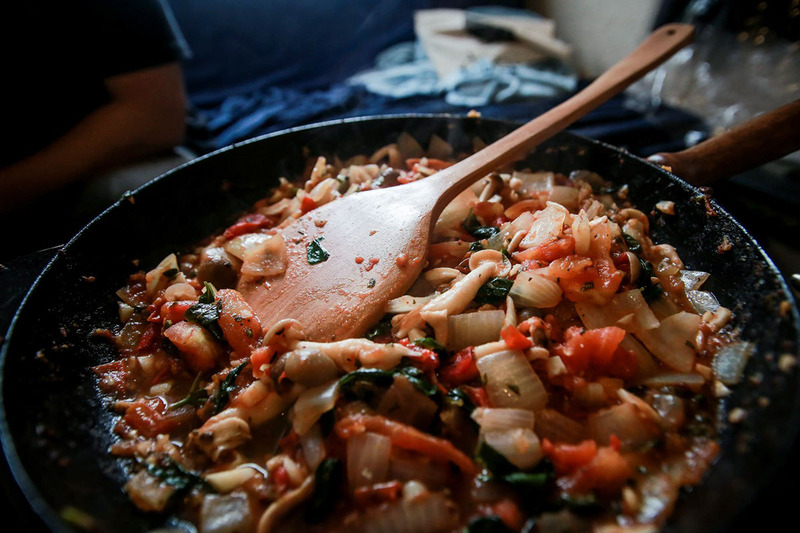 We utilised methods such Judgmental Sampling and Snowball Sampling so as to ensure that we did capture the authentic needs and desires of the urban residents. 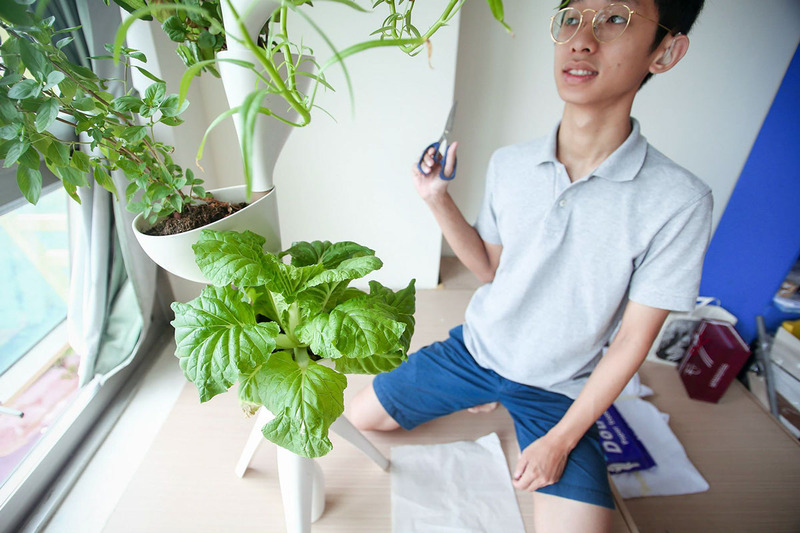 - ‬Their living paces are so busy that they have no‭ ‬sufficient time to‭ ‬take care of vegetable. 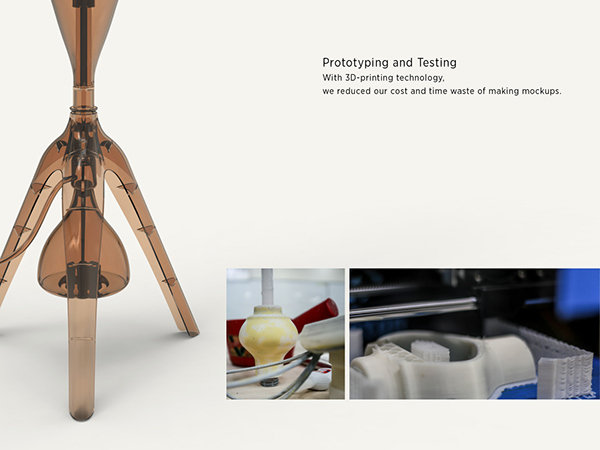 By utilising 3D-printing technology, we reduced our cost and time waste of making mockups, therefore, we can conduct several times of usability and technical test for this time-limited project. 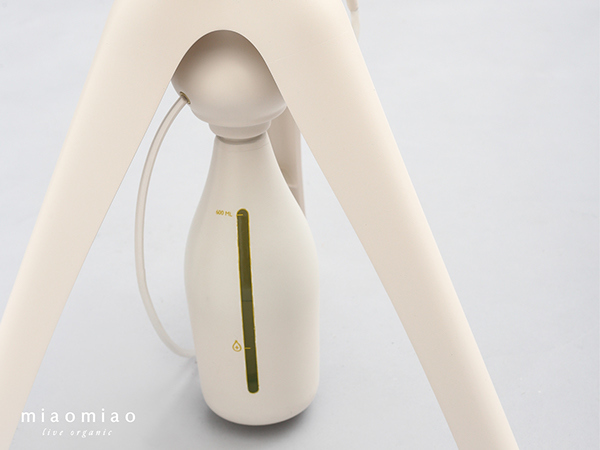 Miaomiao is a non-electrical device, you don’t need to worry about the quantity of electric charge. 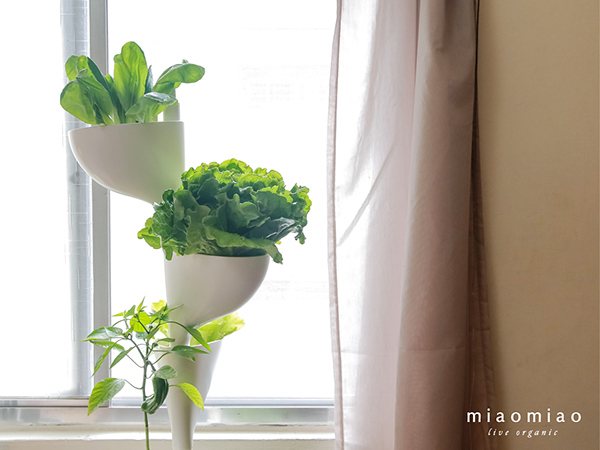 Also, the vegetables of Miaomiao absorb the nutrition from the liquid fertiliser, it does not need to apply fertiliser and kill injurious insect pest, only a place with sufficient sunshine is needed. 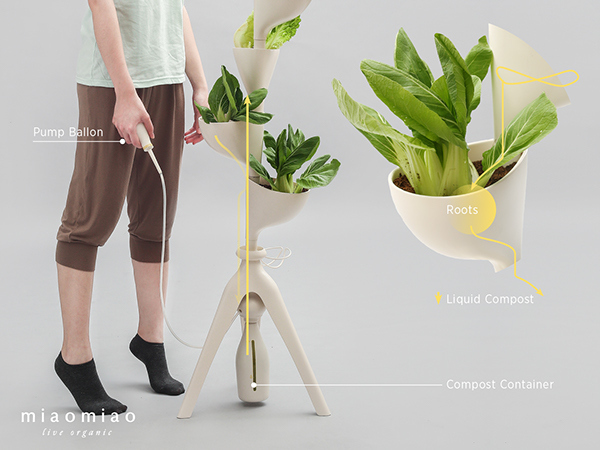 As a result, the vegetables can grow healthily. 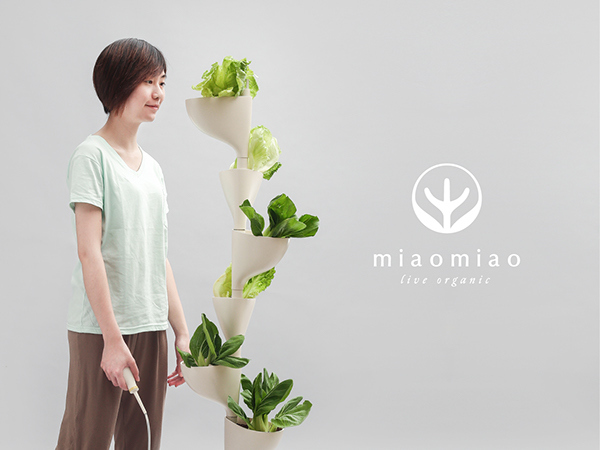 Miaomiao adapts organic hydroponic technology, which offers an easier and more efficient way to take care of vegetables.